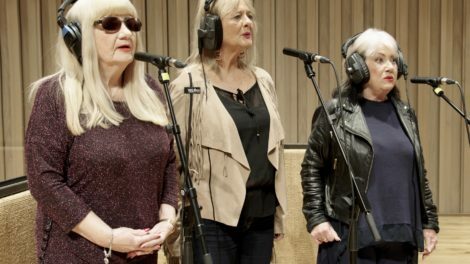 This summer Castlefield Gallery will present Eileen Simpson and Ben White: Open Music Archive, the first UK survey show of the artists’ work from 14 June – 18 August 2019. 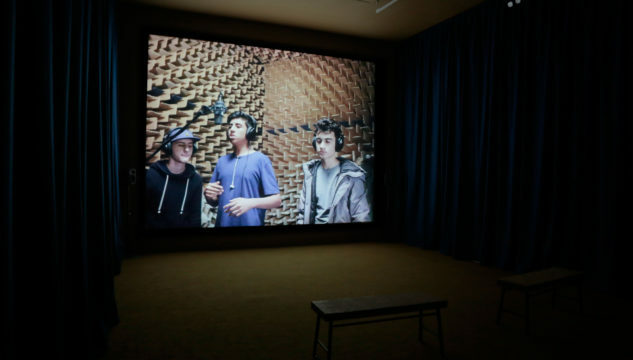 The exhibition presents a selection of projects developed over the last ten years in which the artists explore the performative potential of the archive by reanimating copyright-expired archive material. Featuring sound recordings gleaned from the genesis of the music industry in 1920s Atlanta, a lost feature film from 1950s Jordan, and samples from the very edges of the public domain ripped from 1960s UK chart hit records – the artists deploy rich archive material to produce an open source body of audio-visual work and invite a range of collaborators to produce and perform the public domain. The exhibition coincides with the launch of Everything I Have Is Yours, an ambitious film and sound work by Eileen Simpson and Ben White (Open Music Archive) that looks back to the first decade of the UK pop charts (1952-62) commissioned by Film and Video Umbrella, the Contemporary Art Society, University of Salford Art Collection and Castlefield Gallery and presented at Salford Museum and Art Gallery from 4 July – 3 November 2019.